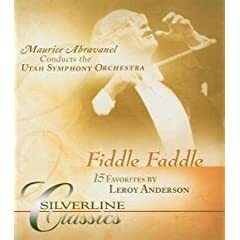 Leroy Anderson's works were deeply rooted in American culture and he remains one of the most influential and iconographic figures in American music today. This selection of popular favorites spans his career over four decades and includes the 1951 chart-topping hit Blue Tango, one of the first instrumental releases ever to sell over one million copies. Если можно залейте куданидь обложки,на рапиду хоть.